Ever since H. G. Wells wrote “The Time Machine” in 1895, we’ve been fascinated with the possibility of magically bouncing around through history. But it wasn’t until Einstein published his historic theory of general relativity that scientists (and science fiction writers) realized that time wasn’t necessarily as ridged as classical theories predicted. After a thought-provoking chat with general relativity expert Ben Tippett, of the University of British Columbia, I was able to get the lowdown on his mathematical model of a time machine called… TARDIS. When Europe’s Rosetta mission discovered molecular oxygen venting from comet 67P/Churyumov-Gerasimenko in 2015, scientists were weirded out. In space, molecular oxygen (O2, i.e. the stuff we breathe) is highly reactive and will break down very quickly. The working theory was that the O2 had been locked in the comet’s ices for billions of years since the solar system’s earliest moments, but new research suggests that 67P is actually producing its own O2 right this moment from a complex interplay between the venting water molecules and chemicals on the comet’s surface. Yes, comets are therefore molecular oxygen factories. Coronal mass ejections, or CMEs, are the most dramatic eruptions that our sun can produce. If they are Earth-directed, these magnetized bubbles of superheated plasma can cause all kinds of issues for our high-technology civilization. Usually, space weather forecasters do a great job of at least predicting when these eruptions might be triggered in the sun’s lower corona, but there’s a different type of CME — the so-called “stealth” CME — that appears to come out of nowhere, created by the complex interplay of magnetic fields high in the sun’s atmosphere. 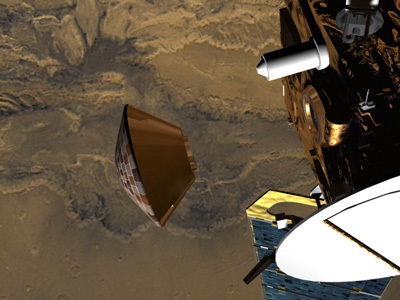 There’s been a couple of updates from NASA challenges and competitions these last few days. The first was the announcement of the High Performance Fast Computing Challenge (HPFCC), which challenges coders with some time on their hands to better optimize supercomputer software for NASA’s simulations of aeronautics models. The second was the announcement of the first winners of Phase 2 of NASA’s 3D-Printed Habitat Challenge — a competition that hopes to pull in talent from a range of backgrounds to ultimately develop the technology to 3D print habitats on Mars and beyond. The British (Astronauts) Are Coming! Really, we are. But for the love of god old chap, make sure the first 2015 space station cargo run is packed to the brim with tea bags! Ever since I heard the first UK government-funded astronaut was being trained to join the European Space Agency in 2009, I nearly wet myself. You see, when you’re a kid growing up in the UK, you can say: “I want to be a fireman,” “I want to be a policeman,” or “I want to be a doctor,” (I said the latter, which, as it turned out, wasn’t too far off.) You can’t say, for example: “I want to be an astronaut!” — to do that you’d have to emigrate, something my mum would never have endorsed to a starry-eyed 10-year-old. Ever since Margaret Thatcher’s government deemed human spaceflight too expensive for our little island nation to shoulder in the 1980s, we Brits have been relegated to spectators in the human spaceflight arena (robotic spaceflight, however, is a whole different matter). But now, that’s beginning to change with the announcement that Major Tim Peake has been selected as a 2015 space station crew member. 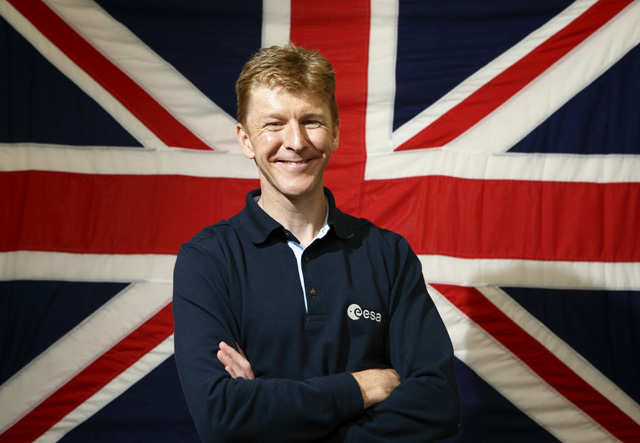 Author Ian O'NeillPosted on May 20, 2013 Categories Missions, Space Flight, UKSATags astronauts, ESA, Tim Peake, UKSA3 Comments on The British (Astronauts) Are Coming! Author Ian O'NeillPosted on July 19, 2009 Categories Breaking news, Coolness, Space FlightTags British Astronauts, ESA, Space ban, Tim Peake, UK Astronaut, UK in space14 Comments on British Astronauts? Yey! British Astronauts! Of all the places I’d want to visit on Mars, this would be high on my list. After travelling to the bottom of Hellas Planitia (for the thick atmosphere and possibly finding liquid water) and the summit of Olympus Mons (for the view), I’d be sure to have a scout around Ariadnes Colles, in the southern hemisphere (pictured above).